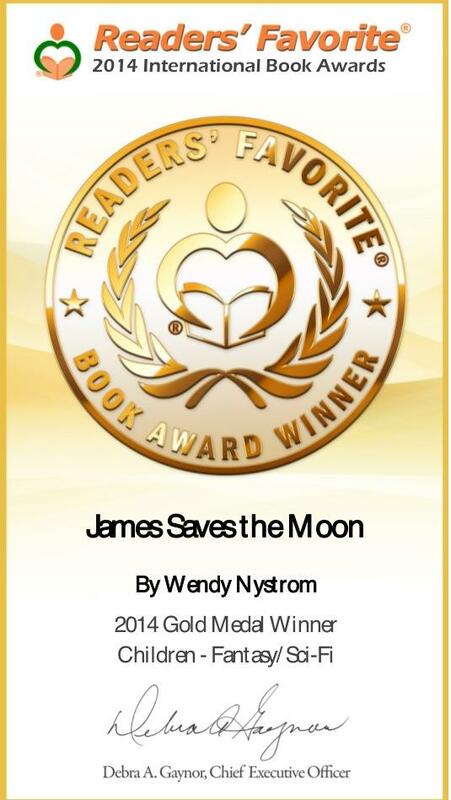 Just read the coolest kids book….its called “James Saves The Moon” by Wendy Nystrom. Wendy’s book starts in Iceland, and her son saw something-remarkable. But-at the same time, he wonders, could it really be? So what does he want to do-explore of course, after all, he is a little boy with a great imagination! James sets out on an adventure inspired by his mom and supported by his family. Along the way he makes a new best friend, and other friends. He finds out some fables of Iceland, and explores things around-but most of all, he experiences a journey of a lifetime with his new friends. Really, this book is one that will spark your child’s imagination, set them off in wonder, and give them something to aspire for! Wendy’s illustrations will give you the feel of another land, an adventure in itself-great job to her illustrator! Her writing makes each image pop together, and form almost a movie in your mind. Such a fun book to enjoy! My 9 year old has become a “mega fan” and reads the book daily! It is one of his newest favorites! He talks about it, shows people the book, and explains it to his brothers–that is a book that has truly captured a child—phenomenal. I was looking at music and came across Steppenwolfs’s song Born to be wild. Listen to it. We are Born to be wild. I have an event February 13th for our local Festival of the Arts at the Library. It is an interesting event, for an entire month we get to explore different types of art. I am a guest speaker to discuss children’s literature. As I was writing my presentation I realized children need to be wild. They were born for adventure. 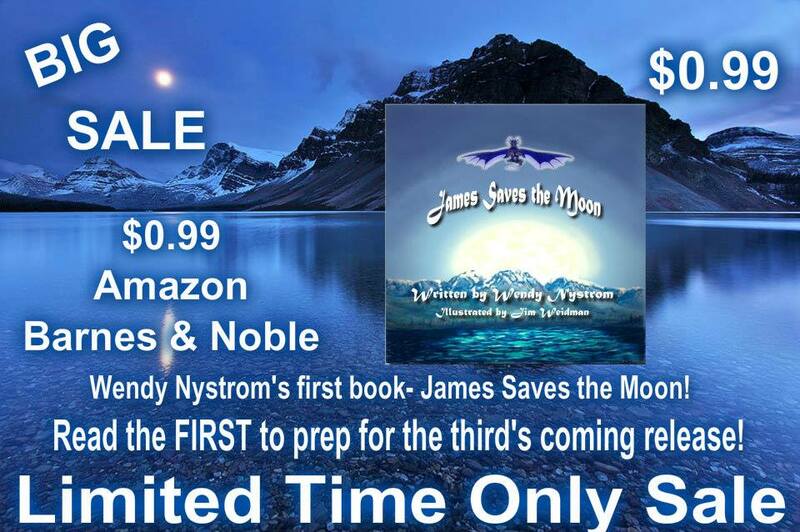 When I wrote my first book James Saves the Moon. We were in the middle of a wonderful fun adventure. We were living in Iceland. My son was 7 learning in Icelandic. I was keeping him up on his English. He is a gifted child especially when it came to being a gifted speaker and adventure. He was a early talker and storyteller. He was speaking in full sentences by the time he was two. Today at 15 he is still gifted in speech. His command of language is unbelievable to me. While I was continuing his education at home to read in English. We discovered many books were boring no adventure. We did discover Tintin. My son loved those books. All about adventure and he could read them both in English and Icelandic. On my last trip to Holland, I picked up a couple that were in Dutch. Now he is exploring music. My twin daughters are more the hands on explorers. They want activity, risk takers. I find them on roofs, up trees, swing set poles. They have little fear of the unknown. They were climbing mountains, cliffs, soccer nets at two. I could not have blinds or drapes in their windows when they were toddlers. I could not have open windows either. I think this why a little place in my brain was unlocked with adventures, when my son one day said . “Look Mom the moon is on the mountain. I am going to touch it tonight. We all ran to the window in his bedroom to look. “Let me tell you it was on the mountain, huge and it seemed we could feel the moon beams shooting through us. I had a dream that night. The next day I wrote the first draft. Since then I have had many dreams and written many things. The hard part is focusing long enough to finish a story. I love having this part of the brain free to explore , dream, share the adventures that were locked up for so many years. The most important thing for a child is being able to go on an adventure. Children’s books should have an adventure no matter what. They want to explore touch, feel, take apart, figure things out as if always on a adventure. I think the most gifted educators are the ones to take a child on an adventure every day in class no matter what the subject is. Let’s, allow children be born to be wild it is there gift to us and our future. Exploration and Adventure is a good thing. 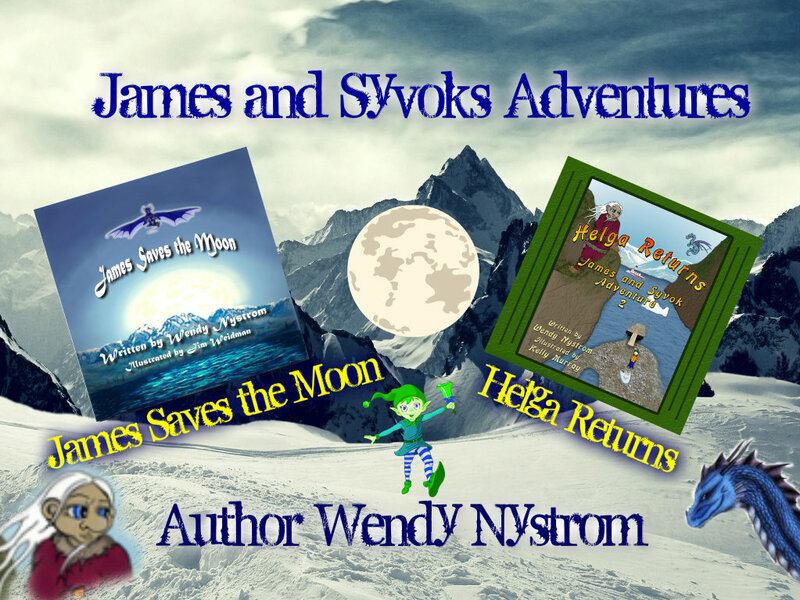 My children’s books are all about adventure my reviews and private messages have brought me pure joy when mothers tell me, my goodness my kids could not put it down. My son wants to ride the dragon. My child with ADHD or Autism was captivated with your story. Kids need to let their imaginations fly. 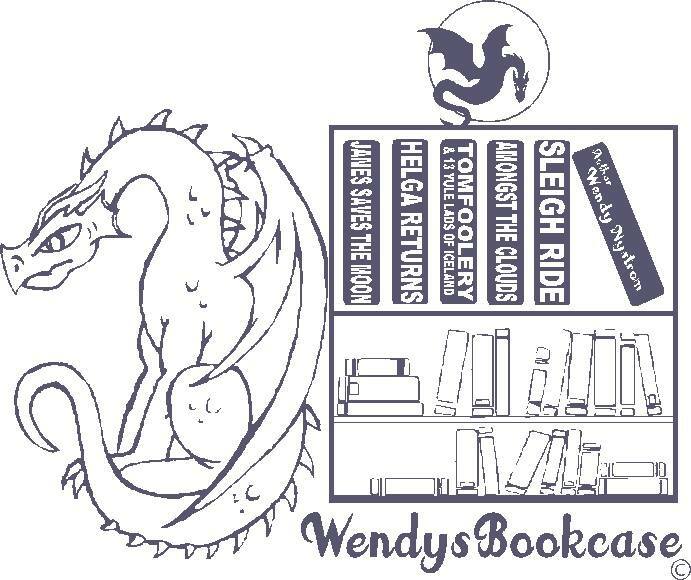 The illustrations have a dragon on every picture. I am lucky I have worked with two wonderful illustrators. Jim Weidman and Kelly Murray. I came to Anchor Group Publishing with my own illustrators and my poor grammar skills. They embraced my adventures. Working with Anchor Group and the authors of Anchor Group has been a wonderful adventure. All the authors are so talented and take you on adventures. The lil anchors (kids authors) have fun adventures. We help each other, encourage each other to be our best. Adventure and Exploring is in my opinion the trail to happiness. If you see Helga Returns with out the green frame do not purchase it. I keep trying to get amazon to remove it.